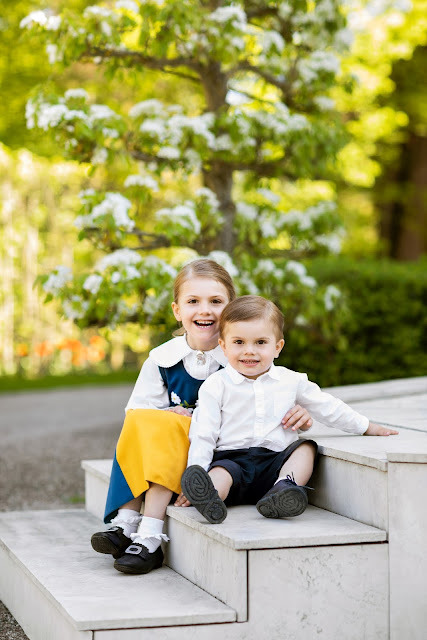 Sweden's National Day was yesterday and the royal family sent everyone their greetings with a new pic of Princess Estelle and Prince Oscar, as has become their tradition. 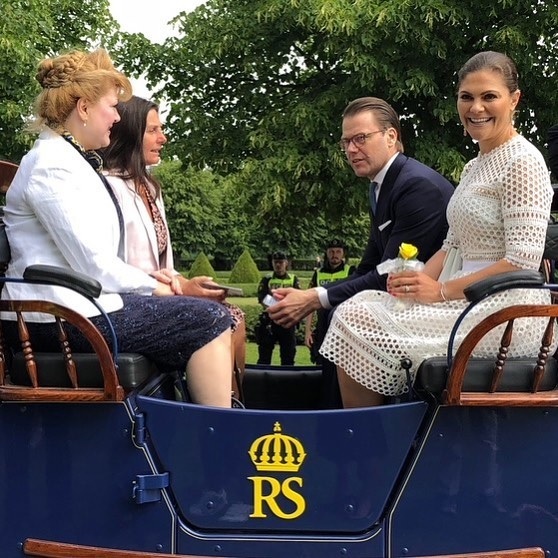 Crown Princess Victoria and Prince Daniel started the day with a trip to the Hallstahammar Municipality for them and - appropriately enough - a trip down christening memory lane for us. 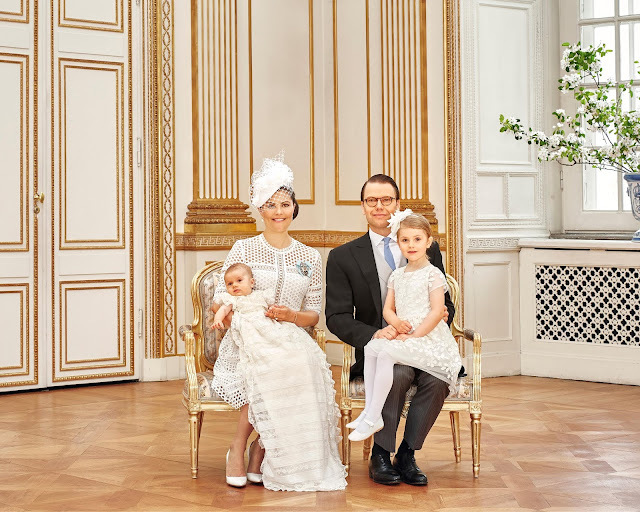 Victoria repeated the By Malina dress she wore for Prince Oscar's christening in 2016. 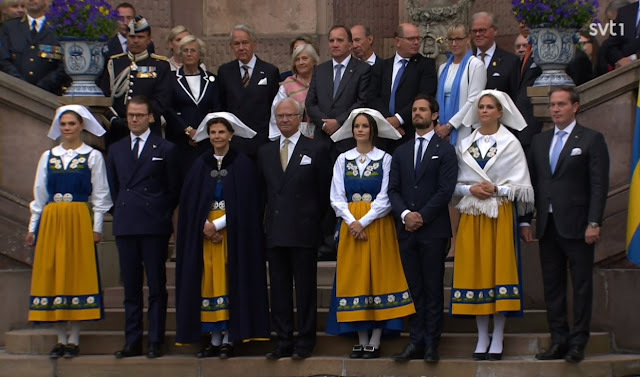 Given this frock's sporty feel, the removal of the hat feels just right. It might be better the second time around. 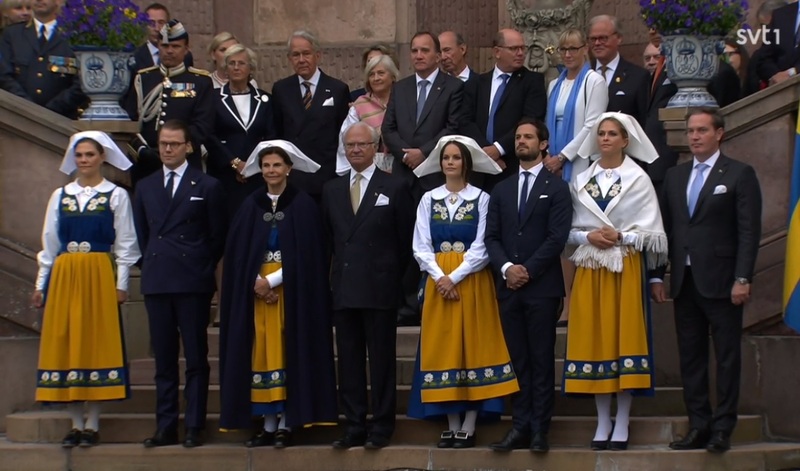 ...more of Prince Oscar's classic scowl of skepticism! (I love that he always looks like he's just Not Sure About This Whole Thing. Keep questioning, kid.) 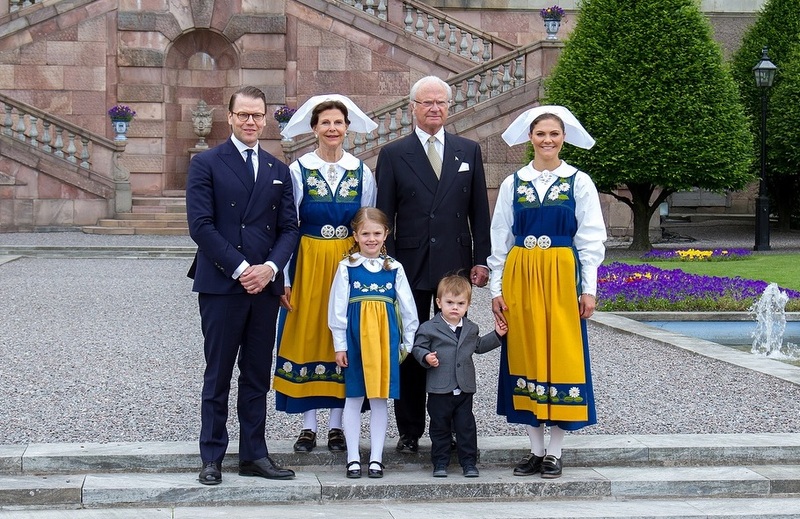 No, really, it's time to bust out the rest of those national costumes. Yellow and blue for the whole family! Except for the men, as always. They don't play that.